It was preferred by trainers and recommended by doctors for plantar fasciitis pain, swelling, ankle pain, tendonitis, ankle pain, foot arch pain, sports injury, foot soreness and so on. It’s severe important to measure your knee first before purchase to ensure you get right knee support size. Please see image 2 for sizing diagram. Arch circumference is provided (From the highest point of arch to the bottom). Average shoe size is shown as a general guide. 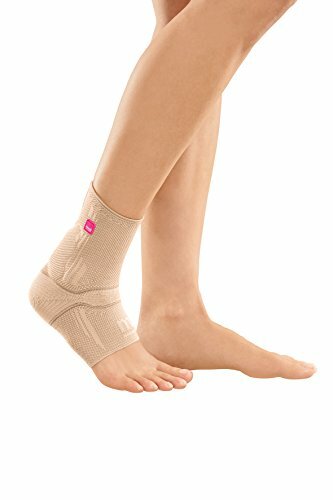 Significantly Reduced Pain for Plantar Fasciitis — Compression ankle brace is the lifesavers for anyone who is suffering from plantar fasciitis, arthritis, falling arches, sprains, swelling, tendonitis, muscle fatigue or just general sore tired and hurting feet. 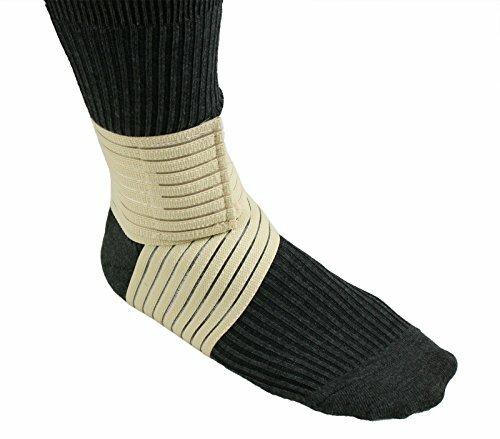 These compression ankle sleeves give instant pain relief and help you stand and walk freely again. Follow The Size Chart For An Accurate Fit — It’s severely important to measure your knee first before purchase to ensure you get right knee support size. Please see image 2 for sizing diagram. (1) Measure your arch circumference (From the highest point of the arch to the bottom). (4) select your size according to average shoe size is shown as a general guide. Note: It is advised you to buy a large size if you are at the upper limit. Wear Under any Sock & Quick Dry Breathable Fabric — You can wear with shoes, boots, sneakers, sandals, flip flops, or slippers, under any socks, sandals. Designed with 75% Nylon & 27% Spandex offers brilliant compression without restricting movement or chafing the skin. Lightweight and breathable but soft fabric design absorbing sweat and keeps your knee dry during the toughest workouts, hiking, running, walking. New Compression Technology & NO SLIP — Why let you suffer ankle pain? 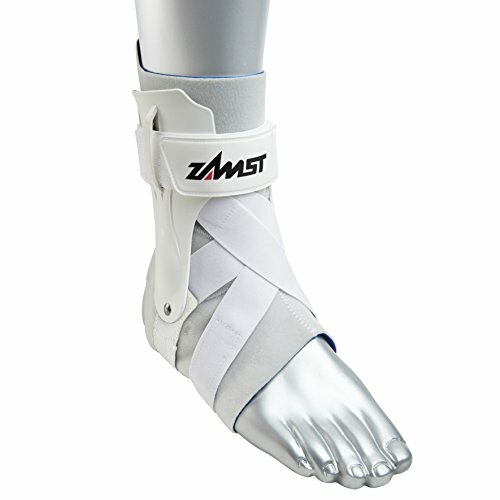 Use our compression foot sleeve recommended by doctors to walk freely without pain again. 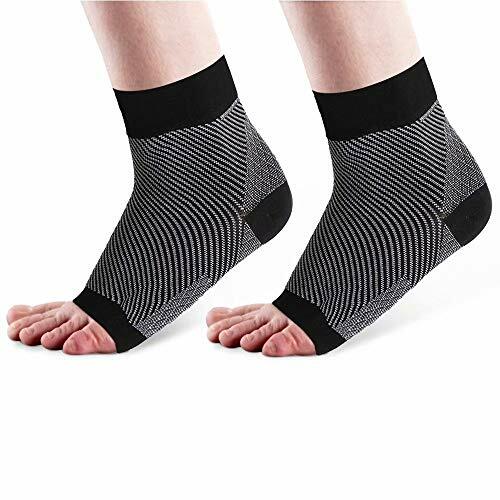 Wear AVIDDA compression ankle brace with regular massaging improves circulation, reducing inflammation, releasing tension in the plantar fascia and expediting the plantar fasciitis healing process. Good for Baseball, Basketball, Volleyball, Crossfit, Soccer, Golf, Cycling, Hiking, Running, and so on. FREE WARRANTY & Washable Well & Best Gift for your Family Friend — 180days money-back guaranteed. Hand washes recommended as well as machine wash, air dry. Do not dry clean, bleach ironing and excessive soaking. Best Gift for your family, friends. Available in black, pink, gray color with 6 different sizes. The compression ankle brace is functional and beneficial to their health!